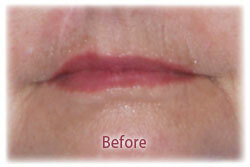 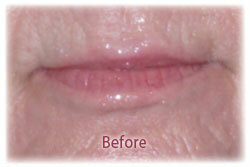 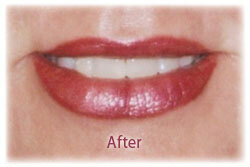 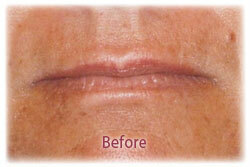 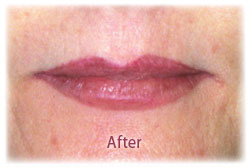 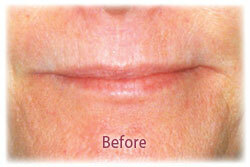 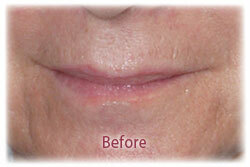 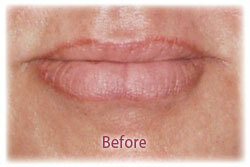 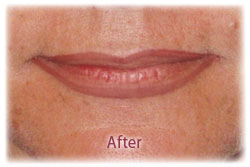 Full Lips - Lip procedures can either enhance the beauty of well-shaped lips or re-shape lips. 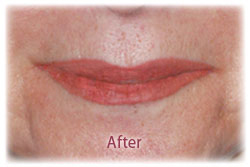 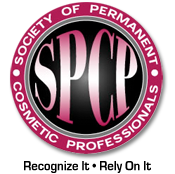 Properly applied, permanent lip color can correct asymmetry, add definition and fullness, enlarge thin lips and minimize the appearance of large lips. 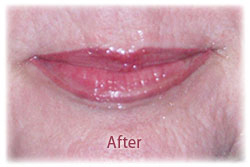 Full color can be natural or vivid. 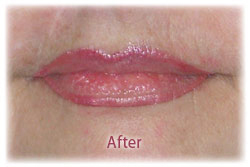 The full lip procedure may take two or three sessions due to high color absorption.